What made you volunteer as a VLA? Working with refugees, you can address different issues such as human rights, geopolitics, and law. Here at AATZ, I interact directly with people and clients everyday, which I really love. Please describe a typical workday for you. We start at the office around 7:30am. I don’t live far from the office, which is good because the traffic can be difficult. Sometimes, when I’m running late, I have to find a tuk-tuk, which is like a taxi. I work directly with our clients. 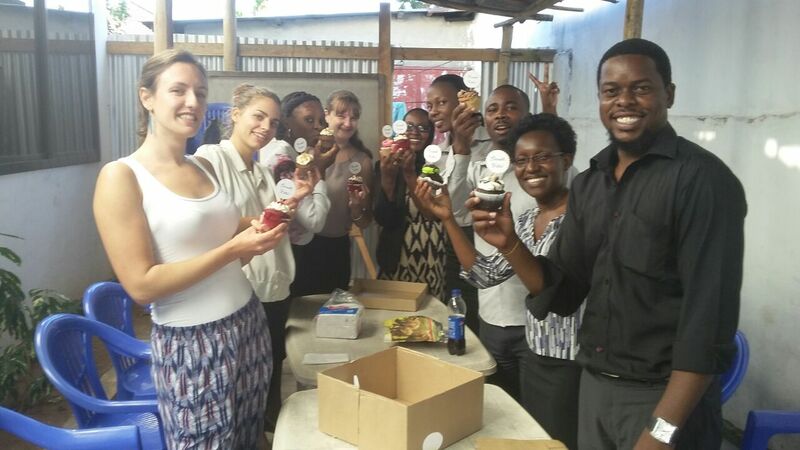 One part of the job is keeping in regular contact with our clients, who are either in Dar es Salaam or in the camps, which are far from Dar es Salaam. I have to check in with them to make sure everything is okay because sometimes they can’t reach me and something may have happened over the weekend. I also work with clients to help them prepare for their refugee status determination (RSD) hearing. Legally, we are not allowed to represent the clients in the hearing, so we can only prepare them. We explain how the process to become a legally registered refugee in Tanzania works and help them prepare their history for the interviews. Some of our clients have difficulties accessing healthcare or security, regardless of their legal status, so we help them find the services they need. When I interview new clients, I have to research all the details of their home country as well as their personal history. On the days I am not attending to clients, I organize and participate in events and workshops. I’ve given a presentation on refugee law at a workshop and have also had the opportunity to contribute to a handbook on vulnerable populations. Currently, I’m working with colleagues to write the first chapter on children. During lunch, my coworkers and I eat together on the terrace at the office. The office closes at 5:30 and after work I go home, though sometimes I’ll join some friends for dinner or talk to my family in France. 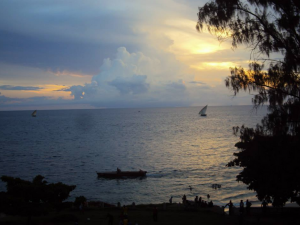 There are a lot of things to do in Dar es Salaam—going out is quite nice! Could you describe what the RSD process is like for clients? Refugees in Tanzania are first interviewed by the Ministry of Home Affairs. Sometimes clients have the urge to explain what happened to them in full detail, so we help them to express themselves in a clear and logical way. Their explanation must be coherent to ensure credibility. Sometimes they have trouble remembering dates and other small details, so we help them prepare for the questions in the interview. After the interview, we follow up with them to make sure everything is okay. Then, they have to wait for another interview with the National Eligibility Committee, which is a lot like the first interview. This is when the Committee makes a recommendation to the Minister about whether to accept or reject a person’s refugee status application. Please describe a typical weekend day/day off or the ways you like to de-stress. It’s really easy to de-stress here and there are a lot of places to visit. Zanzibar isn’t far and you can go there for the weekend. It’s a great escape! There are a lot of beaches you can visit, but you have to be careful – once I was lying against a coconut tree and a coconut fell on me! There are a lot of outdoors activities to do; I like to visit and travel and here you can go on safaris, visit national parks, or just stay at home and sleep. What is your best memory of your Tanzania experience? My best memory was when I went to a film festival in Zanzibar. There were lots of interesting movie screenings by African filmmakers, concerts, and other events and I got to meet filmmakers and people from all over the world. What has been your most rewarding experience as a VLA? It’s nice to host workshops because you can interact with students and other audiences that really care about refugee rights and the work we do here. It feels good to see them enjoy the workshop, because that’s what I work for, but I’ve only been here a couple of months—I think my most rewarding experience is yet to come! What have been the greatest personal and professional challenges you’ve faced as a VLA? Often our clients have already been through the RSD process and have been rejected, so they don’t have many options. In many of these cases, we have to accept that there is little we can do and the clients have to go back to their home countries or apply for asylum elsewhere. It’s never good news, but it’s really important to be honest with them. I think that is the most challenging part – when you cannot really assist the clients and you know they are on their own. How will this experience shape your future career plans/goals? It’s a really great opportunity for me to have this experience and my plan is to continue working in human rights advocacy with NGOs and with refugees.